What does a perfect summer look like to you? Do you love running from one activity to the next, filling your summer with everything fun that you can fit in? Or do you prefer to slow down and savor the long days? My family prefers to keep our schedule slow, simple, unrushed, and calm. Maybe that sounds like bliss to you or maybe you thrive on a full calendar that lets you cram in as much fun as possible. There’s no perfect number of activities to pencil in for summer fun. What’s important is being intentional – doing what your family thrives on. If you love sitting in the heat at your kids’ sporting events, then go for it! But if you see it as just one more thing to cram in, that’s a sign you may need to take the summer off that activity. 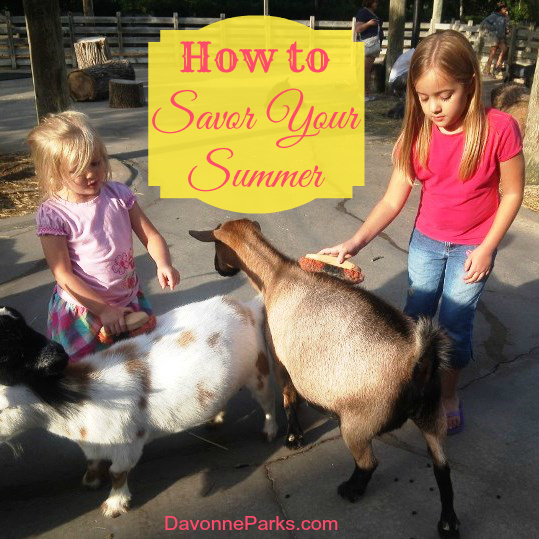 Whether you thrive on slow and relaxed like my family does, or whether your family craves adventure and activities, there are a few things you can do to help you to have a fabulous summer. 1) Make a bucket list… or not. Summer bucket lists are really popular right now. Some people love them and get a huge thrill out of doing activities on their lists. If that sounds like you, make your list and enjoy it! I tried a summer bucket list one year and my kids were disappointed that we didn’t do everything on the list. I felt rushed trying to accomplish the list. So no more bucket lists for us. If summer bucket lists stress you out, don’t make one and don’t feel guilty for it! 2) Limit camping activities in advance. In addition to a myriad of other activities, we could literally have our kids in various camps all summer long. Decide in advance how much time your kids can spend at camp, then decide if your children need to agree on and attend the same camp or if they can attend different camps on various dates. Since we’ve already decided that Lily (8) can only have one camp experience this summer, she has to choose the one she wants the most. Everything else is, by default, decided against. 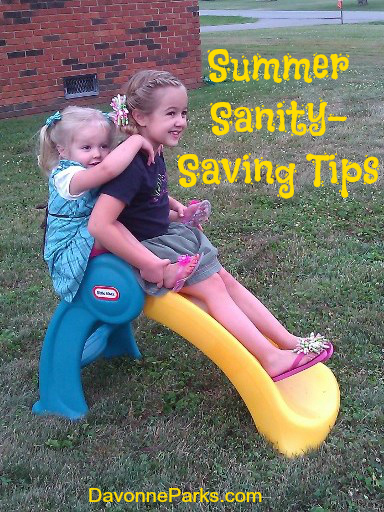 3) Ask your family members what their number-one summer “must do” item is. Ask your family members if they could only do one thing this summer, what would it be. Give them several days to think about it if possible because their well thought-out answers will likely give you valuable insight to what’s important to them. Finding out what was really important to my family was incredibly helpful. This meant that when life happened and our schedules changed, I knew which activities to drop from our schedule and which ones to keep. My kids LOVE this week! Other than church services, we don’t schedule a single thing for an entire week. We simply hop out of bed, rush through morning chores, then live almost completely spur-of-the-moment for the entire day, several days in a row. 5) Keep a visible calender. It’s already mid-May so go ahead and make a tentative summer schedule. 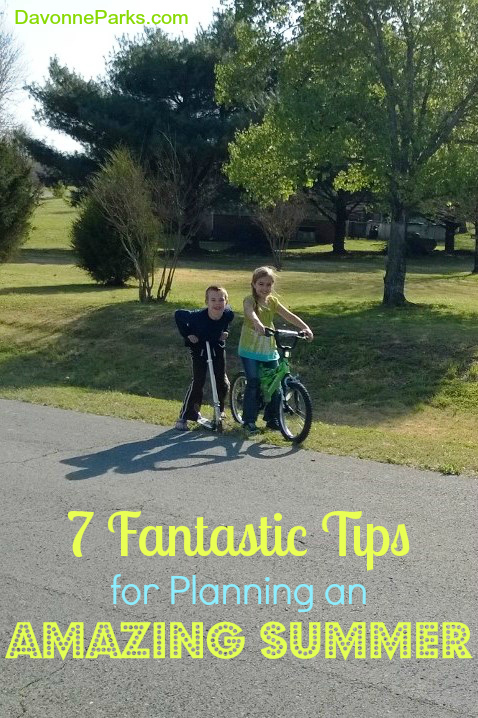 Start with the basics: Write down Vacation Bible School, visits to relatives, and anything else that is already scheduled. After the basics are written down, look to see where you can schedule “NOTHING TIME” in huge letters if you’re interested in that. Now you’re free to start scheduling other things as they come up because you’ll be able to quickly see when your schedule starts getting too full. When that happens, your family can help decide which activities to move around or cancel altogether. 6) Remember – relationships over things. Remember that relationships with people is more important than stuff. When you have to choose between one or the other, always nurture relationships first whenever possible. 7) Stay flexible and maintain a positive attitude. Instead of having our ideal nothing-planned-at-all summer break, my kids and I are choosing to help at Nathan’s office for two full days a week. We’ll probably get rained out on a pool day. The house will get messy and we’ll likely need to stay inside to clean on a sunny day. I know that no matter how much we schedule and plan, something will go awry and our summer schedule will probably never be completely ideal. That’s okay. Having a plan doesn’t guarantee a perfect summer. Whether at the office, in the sun, or at home, having a schedule simply helps us to be intentional with how we spend our time so we don’t fritter – or rush – our days away. 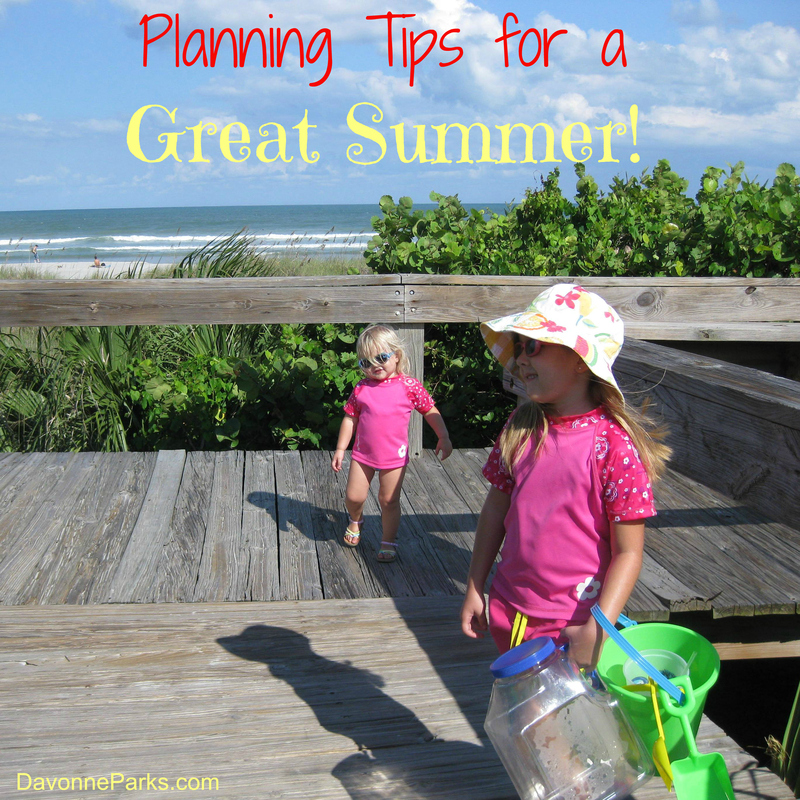 What summer planning tips do you have?